The agenda for this meeting will be available up to 5 days in advance. 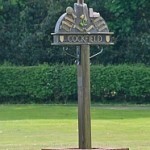 The focal point of the village, where the church and village hall can be found, is in Church Lane, IP30 0LA. Click below for an interactive map. In addition there are many other amenities and places of interest which are shown on a map by following the link below.